Calling the current trade environment uncertain is a bit of an understatement. With no lasting clarity around tariffs on apparel originating from China, sourcing managers are struggling with the question of where to place their future orders. Most professional advisors and industry bodies are recommending that companies pursue sourcing diversification strategies, which is certainly a wise—though not necessarily easy—path to consider. Finding the right vendor that has both the quality and the capacity to meet one’s production needs while still abiding by all relevant compliance requirements is a strenuous task even in the best of times. Trying to find one while operating under enormous time pressure is a challenge of a much higher order. That latter category of challenges—the collection of myriad issues related to things other than physical production—is of particular significance nowadays, especially when it comes to ensuring that sourcing is being conducted in a socially responsible manner. Over the last few years, social compliance issues have taken more of a central role in sourcing decision-making as the business case for doing so continues to get stronger. In addition, issues like worker safety and modern-day slavery are attracting greater attention not just from NGOs, but from both governments and investors, too. As such, social compliance due diligence is now as crucial for sourcing decision-making as are considerations of price, quality and delivery. Under these uncertain trade circumstances, this takes on an increased importance. The traditional sourcing destinations that most apparel and footwear companies are currently using present varying degrees of social compliance challenges. But with many years of experience built up over time, these challenges have become more or less familiar ones. This is not to say the industry has solved them or even that it is comfortable with them; but rather, that they are challenges about which a lot is already known: their general spread, extent, frequency, occurrence patterns and the cultural context in which they sit. Brands and retailers sourcing from places like China and Bangladesh have built up a good understanding of where the pain points are and have put in place plans and partners to deal with them. As such, having to shift to a new vendor in an established sourcing destination does not entail much additional due diligence with regard to non-production related issues. However, shifting to a new vendor in a new sourcing destination (i.e., moving production out of China) is another matter altogether. It would be one thing if that move were to involve simply shifting to another one of the traditional manufacturing destinations, such as going from China to Bangladesh or Vietnam. Unfortunately, that is not likely to be an option for many buyers, both because those other traditional destinations are already quite crowded (making capacity hard to come by) and also because the kinds of volume being made in China cannot simply be transferred to just one or two manufacturing markets. This reality is resulting in sourcing managers having to explore hitherto unfamiliar destinations, ranging from emerging locales in sub-Saharan Africa (such as Ethiopia) to newer options in Southeast Asia (such as Myanmar). Like all manufacturing destinations, these locations will also present varying degrees of social compliance challenges. However, unlike China and the handful of other traditional manufacturing markets, the industry does not have the benefit of decades-long experience in these new locations and is therefore nowhere near as familiar with the contours of the challenges in these places. Add to this the time pressure factor and the consequence is a very real, and very high risk that the need to move production quickly could result in orders being placed in a facility without having the time to thoroughly vet it for non-production related issues (and without having the benefit of a good overall understanding of the broad range of social compliance challenges that generally exist in that location). An additional exacerbating factor is present in the risk that the enthusiasm with which some of these new destinations are likely to embrace the possibility of new factory jobs could leave local authorities hard-pressed to ensure the new facilities that spring up are built and operated in conformance with all relevant regulations. 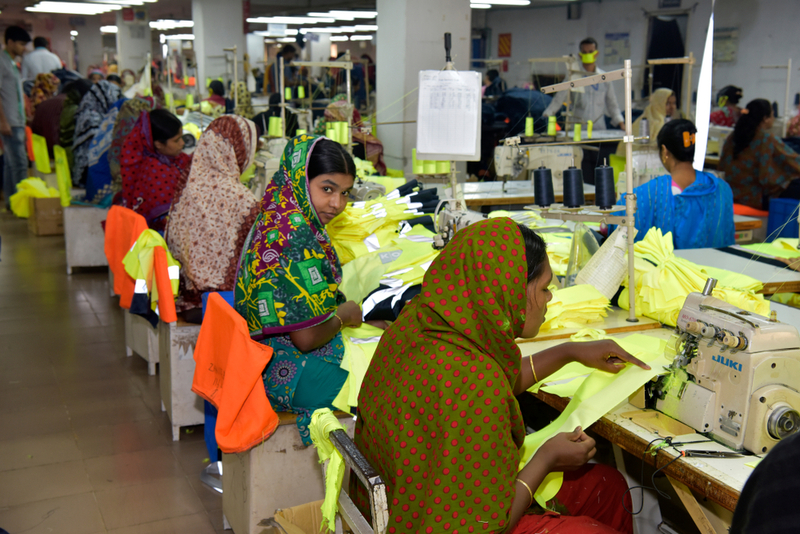 History has shown, in the example of Bangladesh, that there can be negative consequences to growing a factory base at a faster pace than what regulatory controls can keep up with. How, then, can one pursue a viable sourcing diversification strategy in a responsible manner? This is where partnering with one of the well-established independent social compliance programs out there can be so useful. While the industry at large may not yet have built a presence in a new sourcing destination, these entities are already going to be in those markets as soon as the first few factories pop up. As such, not only can they provide sourcing managers with some already vetted facilities to consider, they will also have begun to establish a sense of what the most salient challenges are, thereby allowing for a more informed decision-making process. Given the trying circumstances of today’s uncertain trade environment, entering a new manufacturing destination with as much certainty as possible is no longer a luxury. It is, rather, a crucial part of ensuring that sourcing diversification leads a buyer to success, rather than to more headaches.